It's not the easiest thing to look halfway decent in this Charleston heat. My main summer looks therefore involve staying as cool as possible while still attempting to look somewhat put together. Navy and gold have been my go-to accessories to add to just about any breezy dress in my closet. Here are my current favorites to add to your weekend wear, with photos by Clifford Pate. 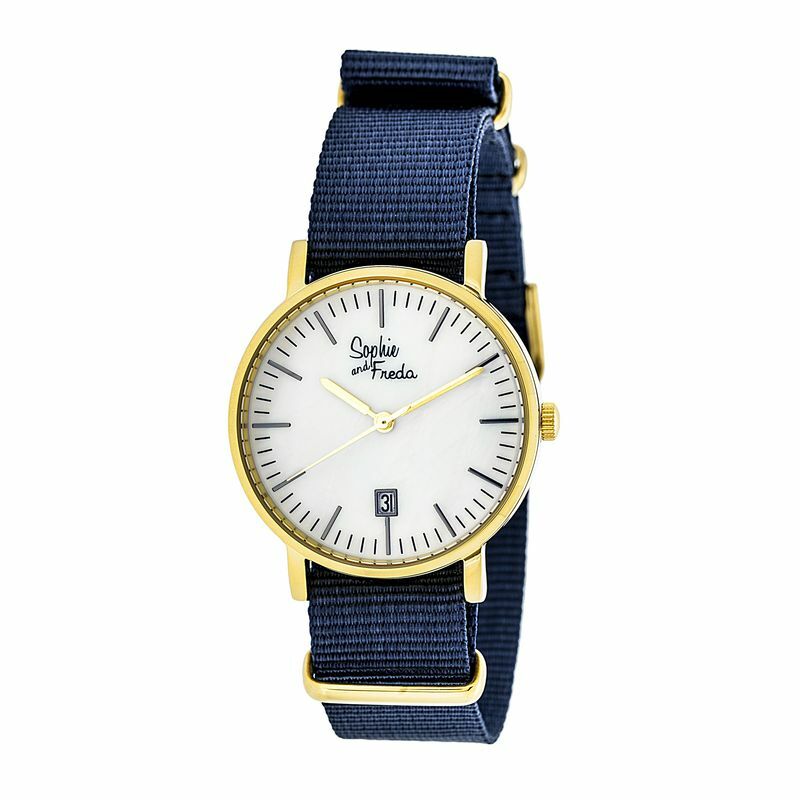 Sophie & Freda makes some of the most awesome watches I have ever seen. They are simple but chic and I wear one of their Nantucket watches pretty much all the time. I got super lucky and scored one on Rue La La for a steal, and you can now get 50% off through July 17 with code WEEKENDER50 here! I love pairing a bracelet with my watch, and these Be The Change Boutique bracelets are so lovely and delicate. They would obviously make a great gift, but there is nothing wrong with treating yourself to this $38 bracelet which comes with a free compliment. Top it off with some white nails (my favorite is Vinyluxe Cream Puff), and BOOM: summer look complete. Maybe my current Golden Girls obsession is to blame, but regardless I'm all about gold accessories right now. 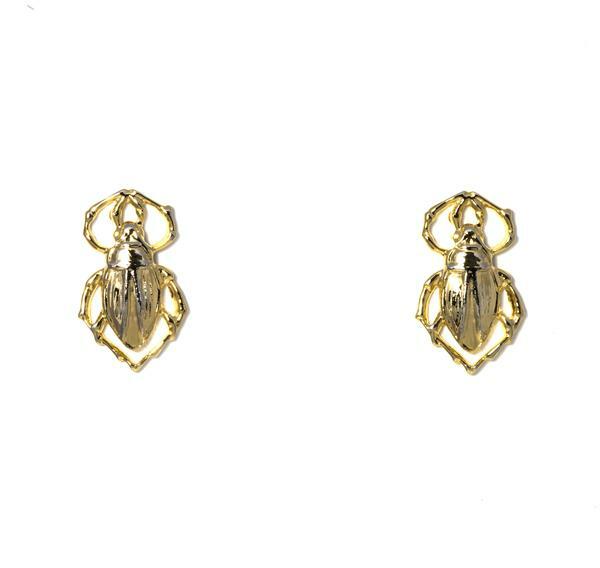 Croghan's gold bug earrings and my champagne bottle necklace from Candy Shop Vintage are my favorite pieces to pair with a dress or even a comfy tee. Pair your navy & gold with a fun printed dress and you have the perfect look for any weekend situation! The dresses below are all from Escapada, and I found one of their maxis on sale here. I love that mine could be worn as a tunic with white jeans when it cools off, and I paired it with my favorite Ralph Lauren wedges I found at DSW. Their height is much lower than a regular wedge so they are easy to wear all weekend long. If you prefer glasses over contacts like me, check out my Warby Parker Jennings glasses. You might as well try on a few pairs; it's free as part of their in-home try on program.